With testo Saveris you are on the safe side. If pharmaceuticals are produced and stored under the wrong climatic conditions, the stability and therefore the efficacy of the drugs can suffer as a result. Possible consequences: commercial damage going as far as extensive compensation claims. 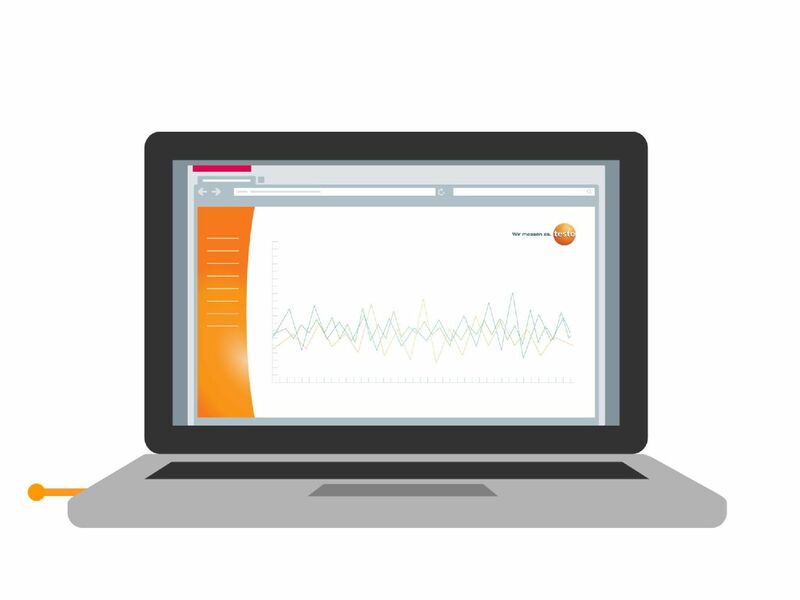 Don’t let it get that far: testo Saveris is the reliable, proven and audit-safe complete solution for climate monitoring in a GMP-regulated environment. 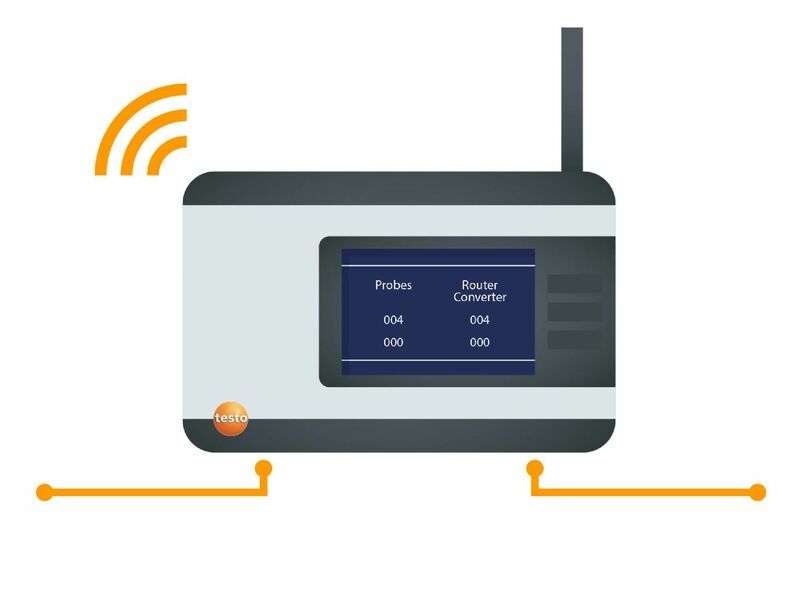 Impressive: your advantages with testo Saveris. Reliable: GMP-compliant humidity and temperature monitoring. Without interruption: documentation and full transparency at all times. 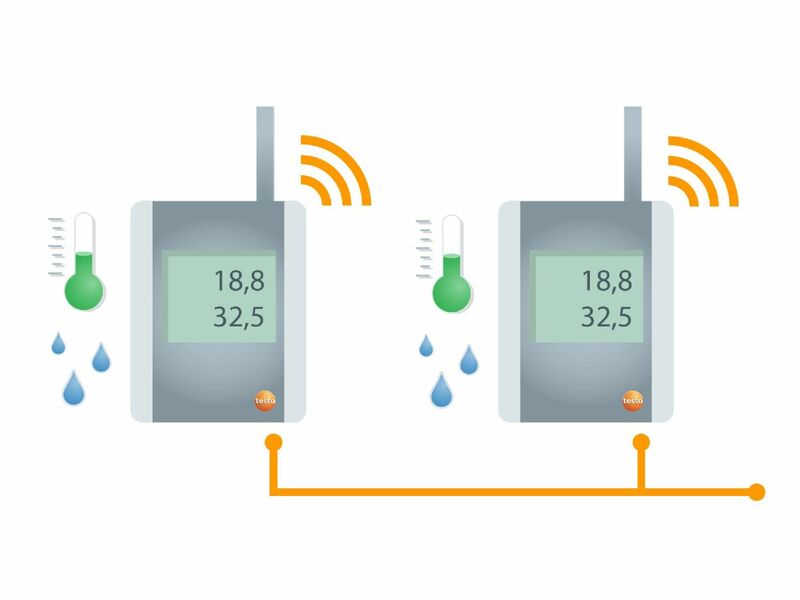 testo Saveris automates the monitoring of measurement parameters in production areas, documents this process and, in the case of a violation of defined limit values, triggers a centralised alarm. Experienced: 60 years of expert knowledge and expertise in measuring technology. Testo has stood for high-precision measuring instruments and innovative solutions in measurement data management for 60 years. This is why we offer comprehensive services in the area of measuring technology, which are perfectly customised to your individual needs. 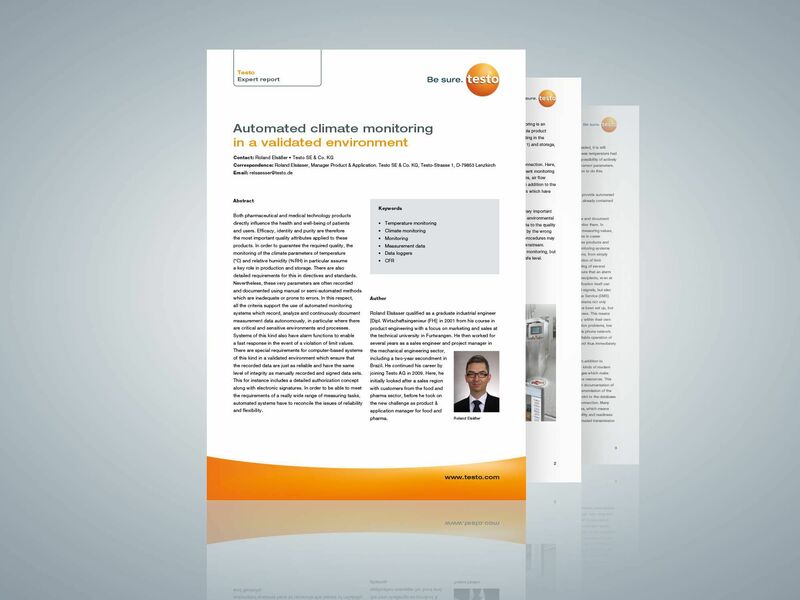 Expert report on "Automated climate monitoring in a validated environment"
Reliable: all-round service – both before and after purchase. Testo guarantees competent advice from specialists and defines the scope of your system directly on site. Technology, mapping, commissioning and qualification are naturally also part of the service. If testo Saveris is implemented, our service still does not stop being provided for a long time: we support you in training and take on the calibration service. And we also offer technical support to extend the system on request. The all-round service with expert advice, training and practical know-how. We have the right product solution for your applications – not only for temperature control and measurement supervision.